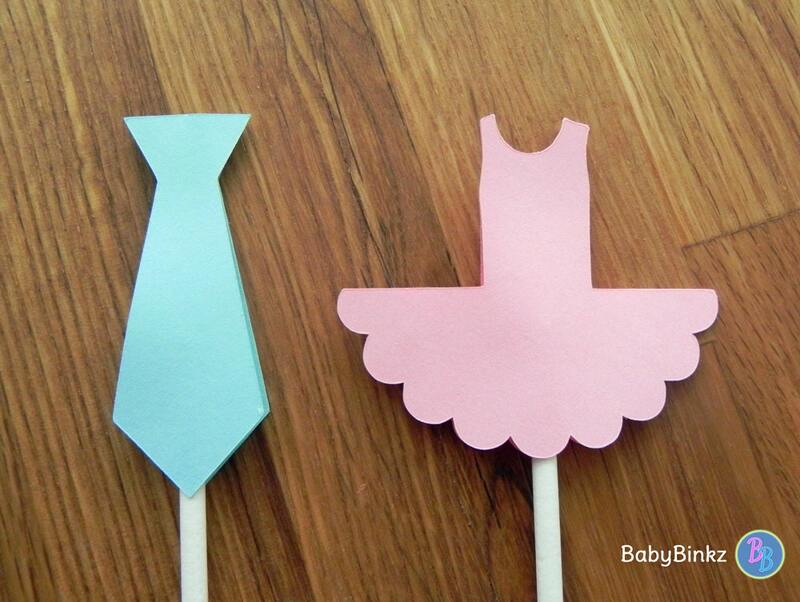 BabyBinkz Gender Reveal Ties or Tutus Party Banner with a Die Cut Neck Tie & Ballet Tutu is the perfect addition to any Gender Reveal party! This listing is for one banner constructed from two layers of heavy weight card stock. Each scalloped circle measures 5" in diameter with a die cut tie and tutu! The interior graphics are mounted to add dimension. The banner will come strung on 1/4" coordinating ribbon and arrive ready to be hung! 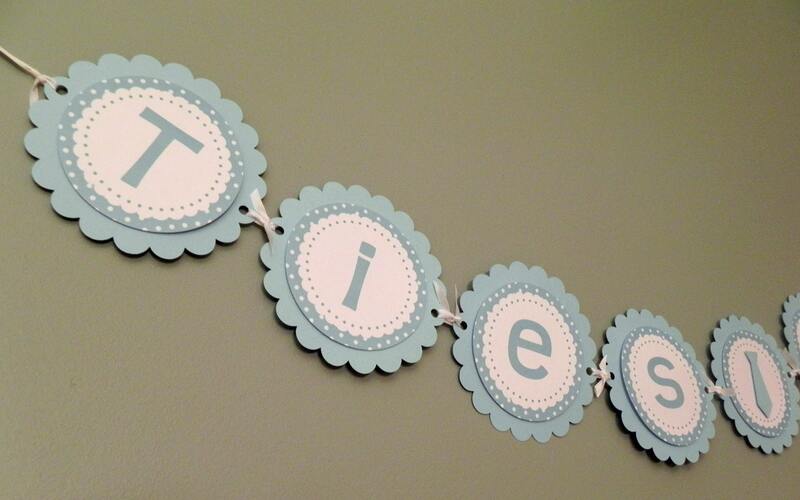 This listing is for the Banner Only, but be sure to check out all of our coordinating Ties or Tutus Products!